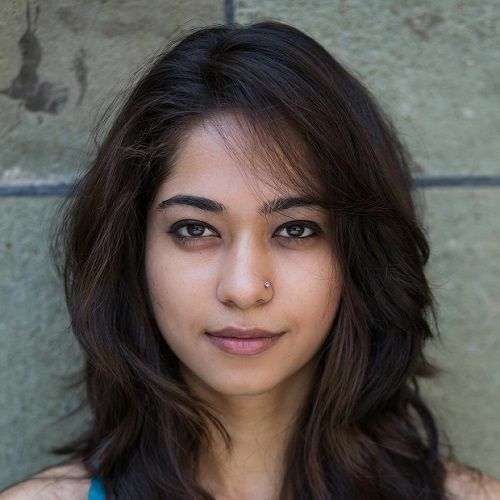 Out of all Indian wear, our favourite kind is the kurta. 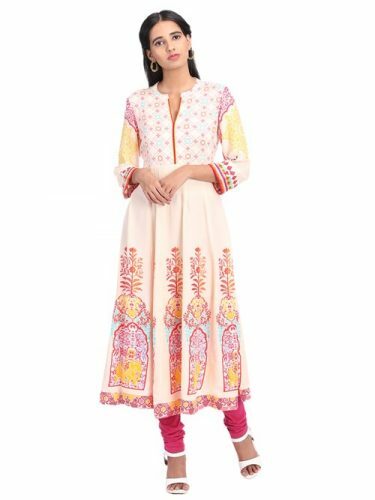 Whether it is the shorter version of the traditional kurta a.k.a the kurti or the long shin-length kurta itself, this ethnic style is the most versatile of them all. If your personal style is all about comfort and fashion going hand in hand, your wardrobe needs a good dose of kurtas and kurtis. 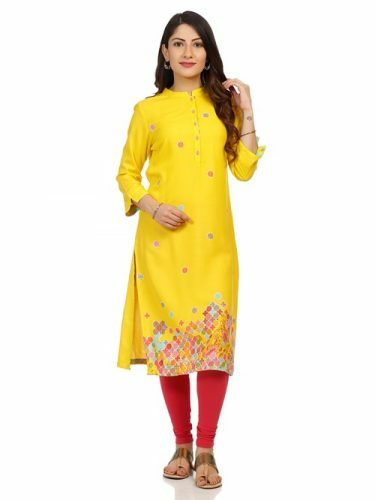 Over the years, the kurta has become a wardrobe staple for the modern Indian woman no matter her profession or background, thanks to all the ways in which, and occasions on which, a kurta is a spot-on piece to wear. From work meetings to weddings, all the different versions of the desi kurta will keep you company at all sorts of occasions and events. Button-up kurtas with your trusted pair of jeans and voilà! you're done. 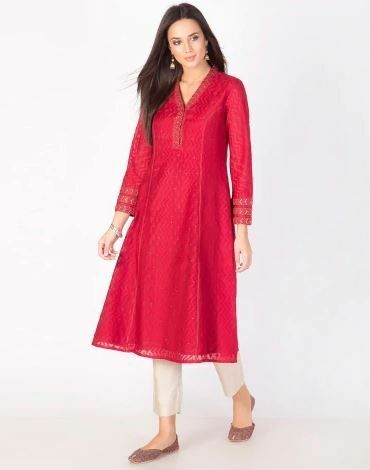 If you are heading out for shopping, a relaxed-fit boho kurta with linen pants makes for the comfiest outfit. Similarly, the fusion versions of kurtas will make you want to wear them even when you’re heading to a romantic bistro on a lunch date. 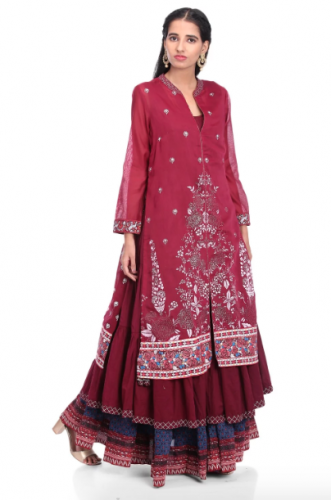 Apart from these, of course, we’re constantly crushing on the Shaadi waali kurti. 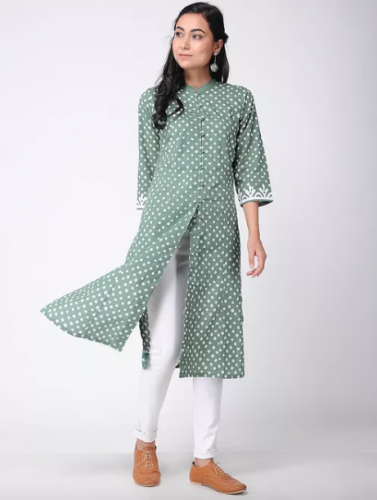 So, now that you’re caught up on how the kurta is for anyone and everyone, let’s get you started on the best kurti brands in India. Founded by the names behind W, Aurelia is an affordable kurta brand that has climbed to the top of our wishlist. 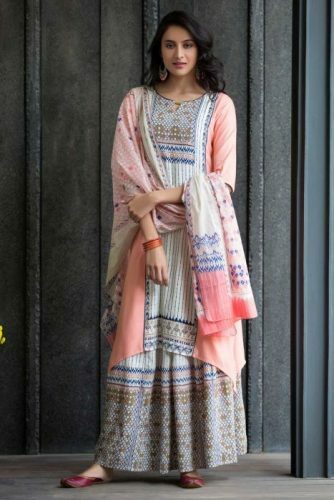 The brand describes their collection as one that “redefines Indian Ethnic by staying in the realm of traditions, yet adapting some modern influences.” For us, that is spot on - after all, don’t we all want to stick to our roots and stay up to date at the same time? 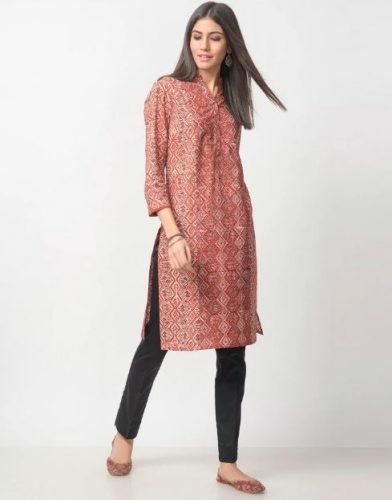 The highlight of Aurelia’s selection of contemporary and light kurtas, for us, is the fact that their designs are unique and make it easy for fashion girls like us to make a statement. These kurtas are our favourite Aurelia numbers: If you don’t have this evergreen black and gold in your ethnic wardrobe, you need to make the addition. Right. Now. 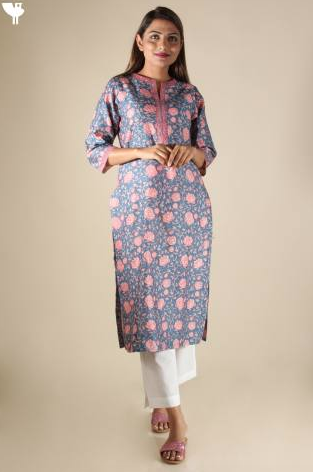 This print-on-print style mandarin collar kurta is sophisticated and just as glamorous, don’t you think? 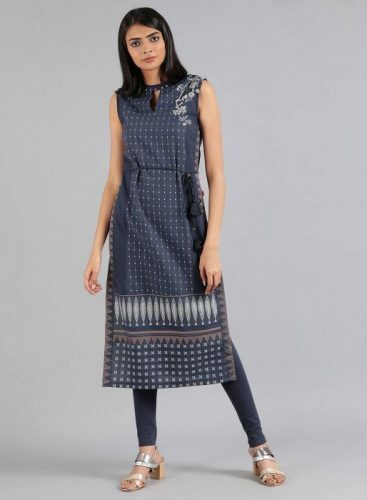 POPxo recommends: Black Kurta (Rs 1,190) While the silhouette of this pretty blue, white, and pink kurta is simple, the asymmetrical hemline and abstract print mix things up quite a bit, don’t they? 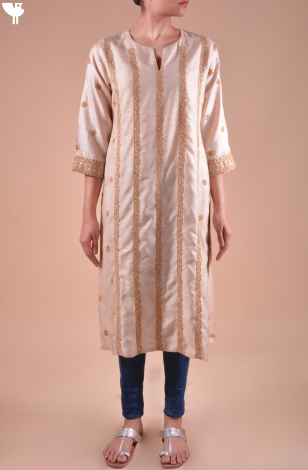 Wear this stylish kurta with cropped pants and a neck-scarf to land up with an ‘extra’ ethnic outfit. 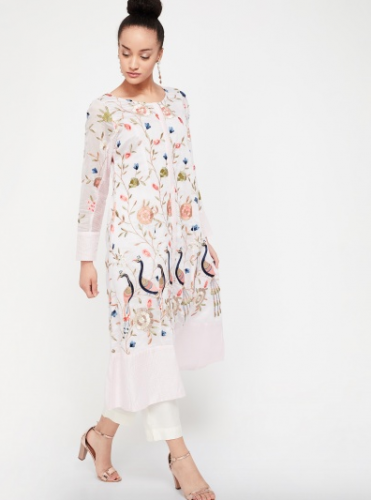 POPxo recommends: Pink Asymmetrical Printed Kurta (Rs 1,119) This story was updated in January 2019. POPxo is now available in six languages: English, Hindi, Tamil, Telugu, Marathi and Bangla. AWESOME NEWS! POPxo SHOP is now Open! Get 25% off on all the super fun mugs, phone covers, cushions, laptop sleeves, and more! Use coupon code POPXOFIRST. Online shopping for women never looked better!